Serve up this classic Sweet Potato Casserole made with fresh sweet potatoes, sugar, butter and spices. This crunchy buttery, brown sugar and pecan topping served in this casserole is the ultimate staple side dish. It’s the perfect side dish for Thanksgiving and Christmas holiday parties. 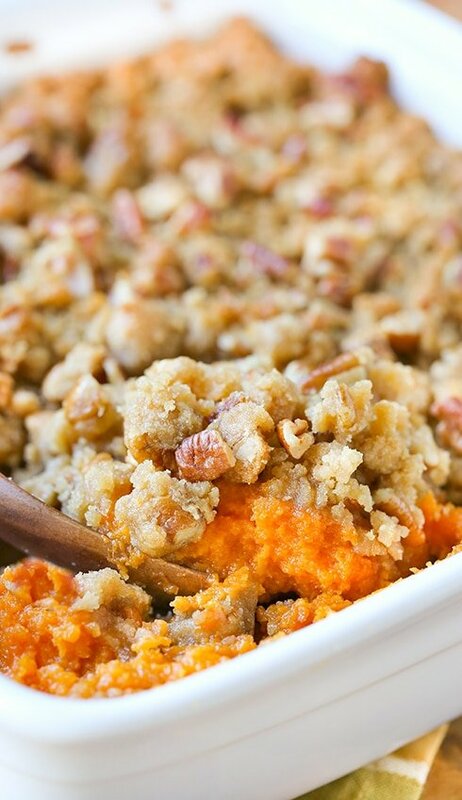 Sweet Potato Casserole is the ultimate Southern dish. Sweet potatoes grow in abundance this time of year and you won’t be hard pressed to find a restaurant that doesn’t serve them in a dish. When I think of winter in the south, this is the first thing that comes to mind. I mean, who doesn’t love buttery sweet potatoes that taste like candy?!? If you’ve ever been to the five star, Ruth’s Chris restaurant, then you know this is one of their top requested dishes! You won’t be hard pressed to find a southern that doesn’t make their own version of this casserole. What I love most about this recipe is that it’s incredibly easy to make. It uses just a few common ingredients and comes together with little effort. If you’re looking for a side dish to serve for dinner or at your next holiday gathering, this is the dish for you. It starts with baking the sweet potatoes. Once they are cool, the inside is scooped out and mashed. It then gets whipped in a mixer with butter, sugar, eggs, vanilla and warm spices. Once it’s poured into a casserole dish, it’s baked for 30 minutes. Guys, the aroma of this dish will make you hungry. If you’re anything like me, you might just have to have a spoonful or two before the topping goes on! Once the dish is done baking, evenly spread the topping across the sweet potatoes. Bake for another 10 minutes and watch as everyone flocks to the kitchen! 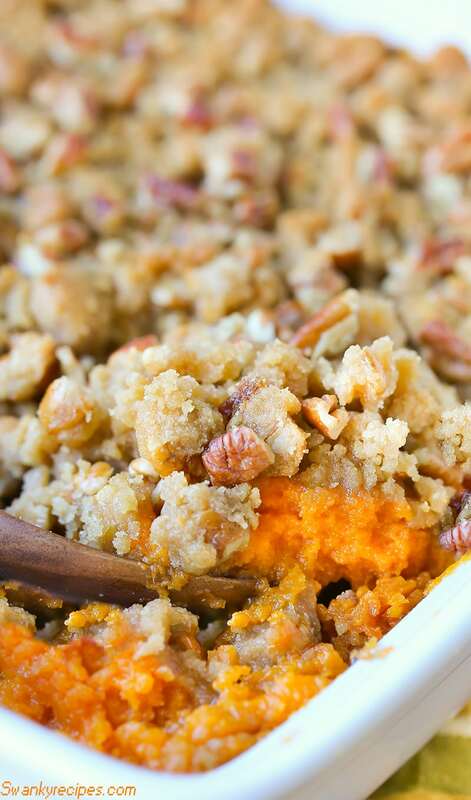 This Sweet Potato Casserole is one of the most popular Thanksgiving side dishes. 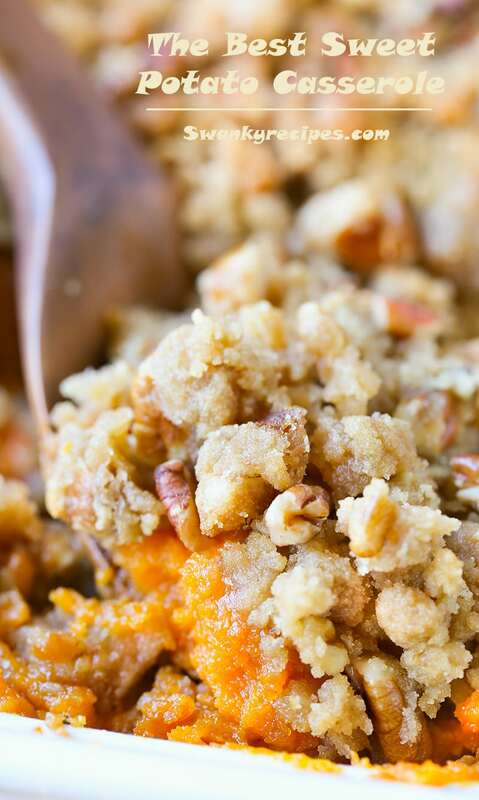 We love this Ruth’s Chris copycat version with sweet potatoes covered in a streusel topping. Serve up this classic Sweet Potato Casserole made with fresh sweet potatoes, sugar, butter and spices. This crunchy buttery, brown sugar and pecan topping served in this casserole is the ultimate staple side dish. 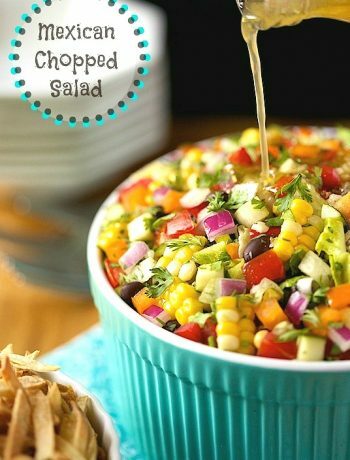 It's the perfect side dish for Thanksgiving and Christmas holiday parties. Wash potatoes, prick each potato with a fork, all over. Rinse and pat dry. Line a dish with foil. Arrange the potatoes in a 9 x 13 baking dish. Bake potatoes for 80-110 minutes, flipping potatoes once while baking. Insert a knife into the center of the potato to check for doneness. If they are a little tough, let them back longer. Larger potatoes may take longer (110 mins) while smaller potatoes may only need 80 minutes. Allow to cool for 10 minutes. Use a knife to cut into the potato. Scoop out the insides and place in medium bowl. Mash potatoes with potato masher or mixer. This will make them easier to measure and whip later. Preheat oven to 350 F degrees. Measure out 4 cups sweet potatoes and place in large mixing bowl. Add 1+1/2 cup granulated sugar, 1/2 teaspoon salt + a dash of salt and 1 + 1/2 teaspoons vanilla extract. Turn mixer on speed 6-8 and whip while getting eggs beaten. Add beaten eggs, melted butter and cinnamon to bowl. Continue to mix on speed 6-8 for 2 minutes. Use a baking dish (I used 9 x 11) but have also used both bigger and smaller. Prepare it with nonstick cooking spray or butter. Evenly spread batter into dish. Bake for 30-35 minutes at 350 degrees F.
In a medium bowl, combine sugar, flour, pecan pieces and melted butter. Stir to combine well. Once the potatoes are done baking, spread mixture evenly over the top. Return to oven and bake for 10 minutes. Allow dish to set for 30 minutes before serving. My family would love this dish! 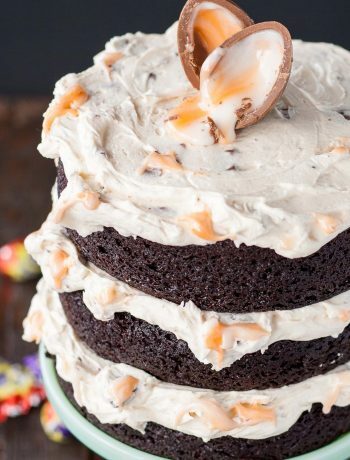 Love all the “good stuff” on top- goes so well with the sweet potato underneath! I much prefer this to the marshmallow topping. 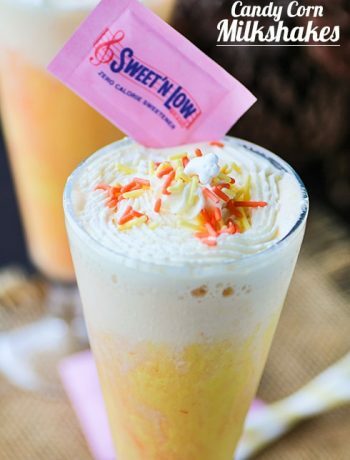 You can control the sweetness. Super sweet sweet potatoes don’t need much. Thanks for sharing this alternative to the gooey, sickly sweet casseroles. Yummy looking casserole. Those pictures are making my mouth water! I’m such a huge fan of sweet potato casserole. And that topping.. YUM! 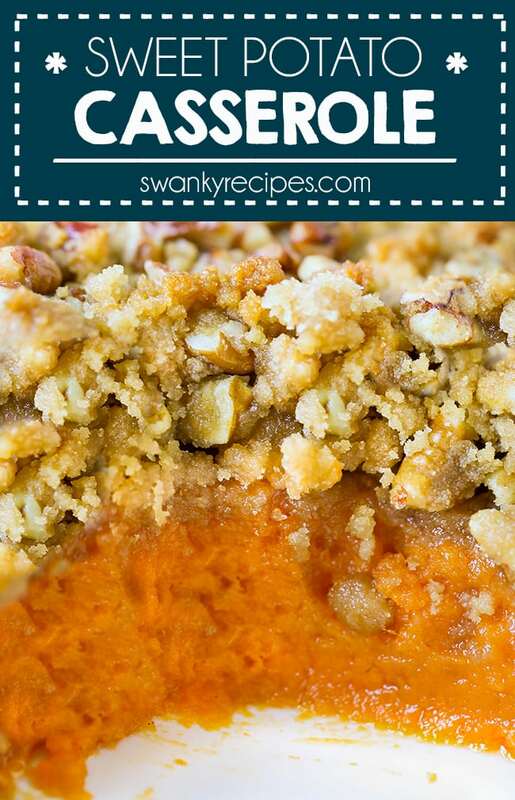 That sweet potato casserole looks absolutely delicious! 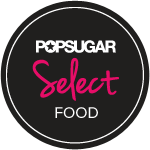 The delicious nutty topping is the perfect combination with sweet potato! I only had a few sm sweet potatoes so l cut the recipe in half, it turned out DELICIOUS 😋! My hubby said it taste like sweet potato pie with caramel sauce on top. Due to nut allergies l didn’t add nuts, it was still good. I like testing recipes before the holidays, this is a keeper 😉. Glad you guys enjoyed it, Carolyn. It’s a good one to make during the holidays, thanks!